Ayurvedic medicines, dietary supplements. Contains useful peptides and plant insulin, considered a natural controller of blood sugar levels. 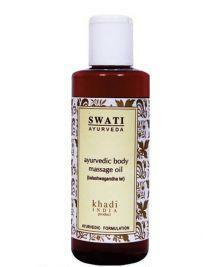 Categories: Ayurveda, For Good Health, Preparations. Tags: ayurveda, diabetes, for health, himalaya, tablets, бад, гималая, инсулин, карела. Karela or bitter cucumber unique tropical plant, which has a bitter taste and is used not only for medicinal purposes, but also in many traditional Indian cuisine. Seeds and fruit of the plant contain useful peptides and plant insulin that is considered to be particularly similar in structure and pharmacological action from beef insulin, which allows the controller to call Karel natural blood sugar levels. Karel is also rich in vitamins A and C, beta carotene, phosphorus, iron and potassium. Some varieties of plants contain active substances that inhibit the development of HIV-associated diseases and destructive effect on tumor cells in cancer. Karel is also useful in the treatment of liver toxicity caused by excessive consumption of alcoholic beverages. Treatment of diabetes. Thanks to such components as momorditsin and glycosides, Karelia is invaluable for the regulation of blood sugar levels, greatly facilitating the condition of patients with diabetes mellitus. Karel enhances peripheral glucose utilization and increases serum protein in the body. Plant improves glucose absorption and stimulates fatty acid oxidation and increases the coefficient of sensitivity to insulin. Insulin analog. Karel stimulates production of insulin in the body and, due to its natural properties, reduces blood glucose level. Karel is a natural antioxidant, which allows the use of plants for the prevention of many diseases associated with diabetes mellitus. Hepatoprotective effect. Karely extract significantly increases the activity of hepatic enzymes group (glutathione-S, glutathione peroxidase, catalase) involved in detoxification processes and protecting the body from oxidative damage. Lipid metabolism. The fruit and seeds of plants significantly reduce the level of bad cholesterol and triglycerides in the blood, normalizing lipid metabolism in the body and preventing the occurrence of diseases related to its violation. Psoriasis. Karel contains the enzyme guanylate cyclase, which can be useful in the treatment of psoriasis. One capsule twice a day or as recommended by the treating physician. Each capsule contains 250mg extract of Karelia. The minimum 4 weeks. Karela Himalaya – 100% herbal medicine and has no side effects. However, it is not recommended to take the drug without first consulting with your doctor during pregnancy and lactation. Karela Himalaya is available in capsule form, which can create some difficulties for ingestion by children under 14 years. 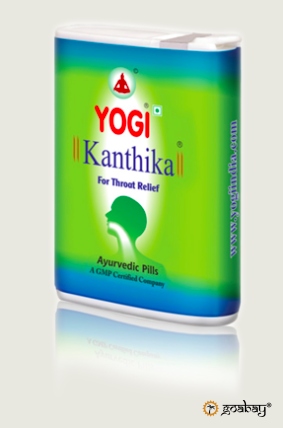 A powerful Ayurvedic remedy for discomfort in the throat, flu, colds. 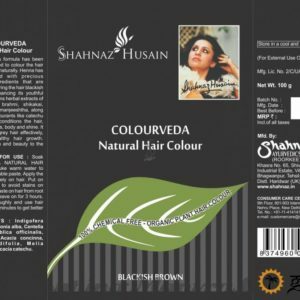 Natural Ayurvedic hair dye based on herbs, which gently stains the hair, completely hiding the gray hair and giving a blackish-brown shade.